WELLNESS DEPARTMENT SALE – SAVE 20% on vitamins, supplements, bath, body care and more, Thursday January 24 – Sunday January 27. Shoppers, owners, and board members share some of their favorite wellness items, to help illustrate all this vast department has to offer! Did you know our wellness department sale includes soap? 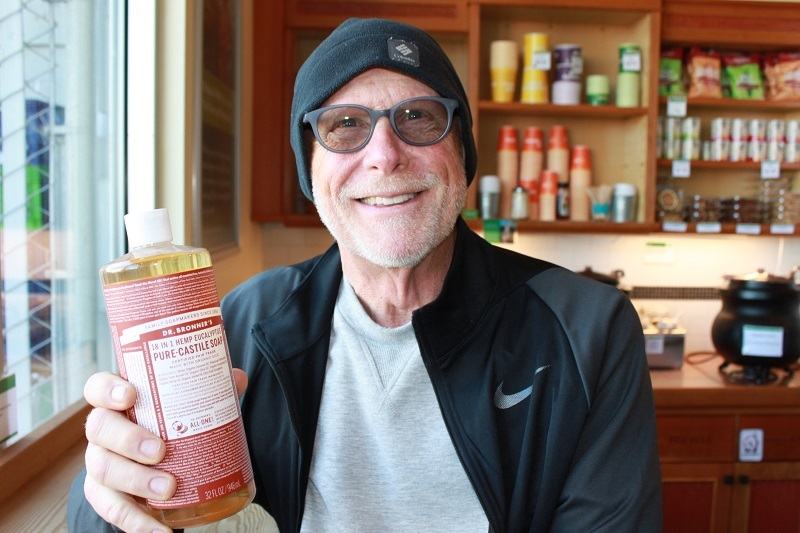 Herb is picking up some of his favorite Dr. Bronner’s. It’s effective, versatile, earth-friendly and you can even refill bottles in bulk. The sale includes toothpaste. 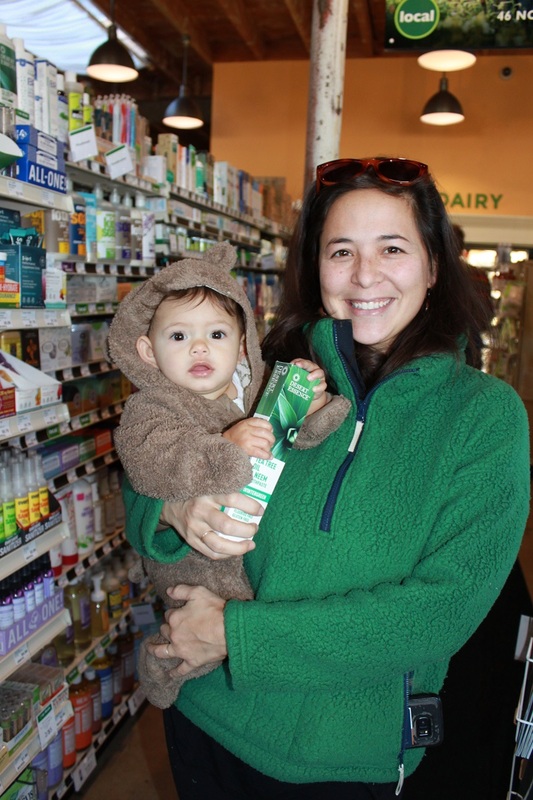 Jessika and Baby Willa are picking up their favorite kind from Desert Essence. It not only tastes great, but it’s made from good stuff like baking soda and essential oils. The sale includes supplements too. We asked Angela Sidlo for one of her personal favorites. (She should know what’s good because she’s not only a co-op board member, but also has her own business as a health coach.) 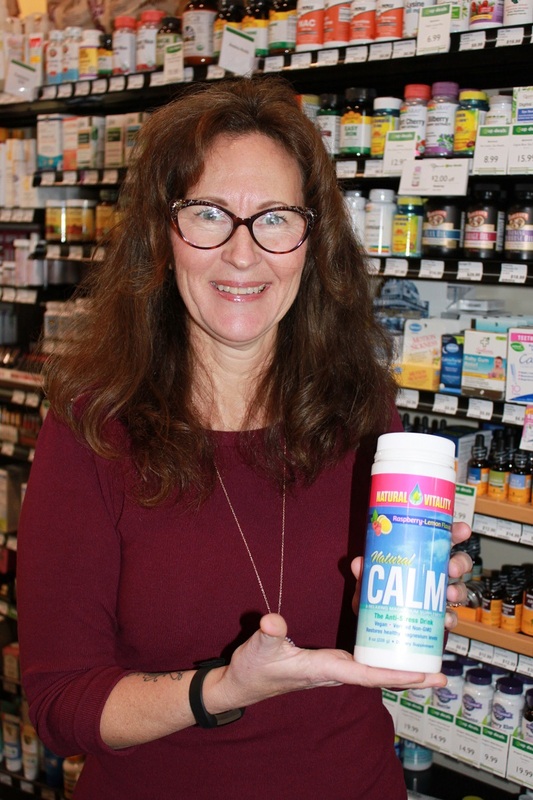 Angela really likes CALM from Natural Vitality for managing stress. 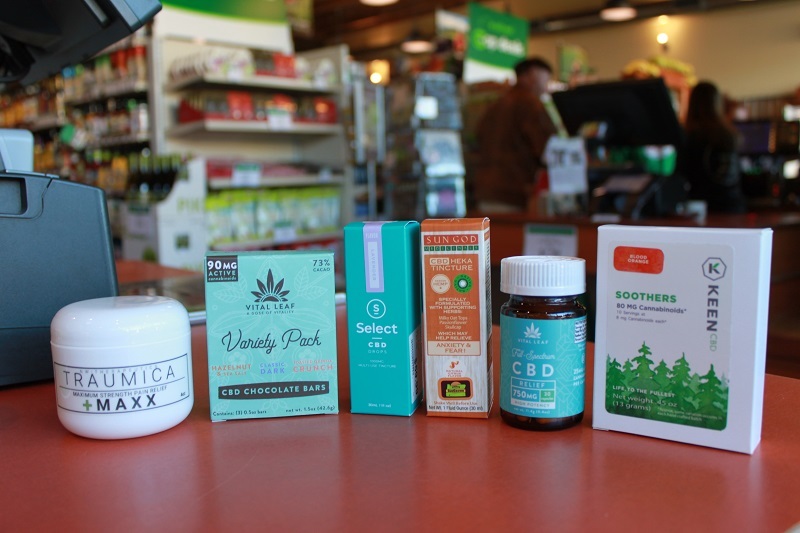 Due to its popularity, we’re also going to point out that the sale includes CBD, which stands for cannabidiol. This cannabis compound is said to have a host of benefits without making people feel stoned. From relaxation to pain relief, there are lotions, chocolates and many other products to try. Learn more about CBD. These are just some examples of the awesome products included in our wellness department. If you’re not sure what’s included in the sale, just ask a friendly staff person. Why are we doing this sale? The new year brings a fresh opportunity for taking great care of yourself. We wanted to make it a little easier to do that by putting our entire wellness department on sale for four days this week. Please note, the discount is limited to items in stock at time of purchase. Does not stack with case discounts or owner discounts. This entry was posted in Deals by Zetty Nemlowill. Bookmark the permalink.